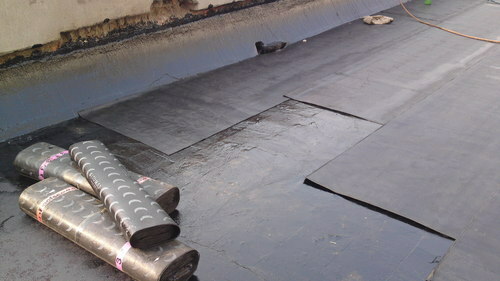 Established in the year 2007, we, Imperial Overseas, Kolkata, are one of the prominent manufacturer, distributors, importers, suppliers and traders of a wide range of Waterproofing Products. The product range offered by us is inclusive of Fiberglass Mesh, Fiberglass Tapes and Fiberglass Tissue. These fiber glasses are used in various construction industries for crack repairs and reinforcement for plaster & construction chemicals. The offered fiber glasses are known for their high strength, thermal stability, sturdy construction, and resistance to corrosion. In addition to this, the offered range is known for its ability to bear high mechanical stress and weather-proof attributes. We import our products from UAE, China, Malaysia, South East Countries. We offer our products under the brand name "Imptrex". To meet the precise needs of our valuable customers in the most efficient manner, we have made strong associations with some of the most trusted vendors of the industry. Owing to our large vendor base and well-equipped storage facility, we have been able to cater to the bulk demands of our valuable customers in the most efficient manner.